We had some valiently ugly entries in the Ugly Sweater Contest at the Southwest Porch last week. About fifty people came to The Porch and adorned themselves in their tackiest finery. We took photos, posted them online and gave the public a week to vote for their favorite. Now the fans have spoken. Linda's homemade ugly sweater came out on top, as the ugliest of them all. For her daring lack of embarrassment and one-of-a-kind sweater, Linda will receive two tickets courtesy of Southwest Airlines. 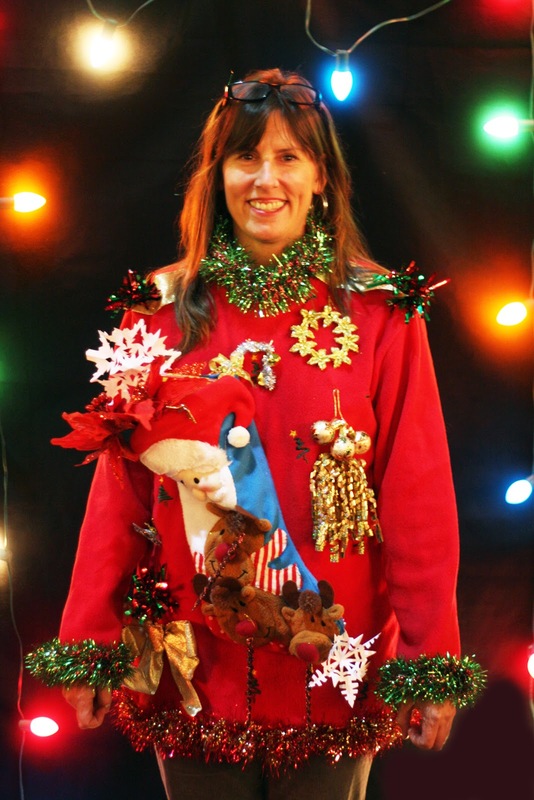 Congratulations Linda, and thank you to all who attended The Ugly Sweater Party and participated in the contest. If you missed the chance to win free airline tickets this time, stay tuned. We will hold a couple of more contests over the winter, leading up to the spring, with more chances to win free tickets on Southwest Airlines.